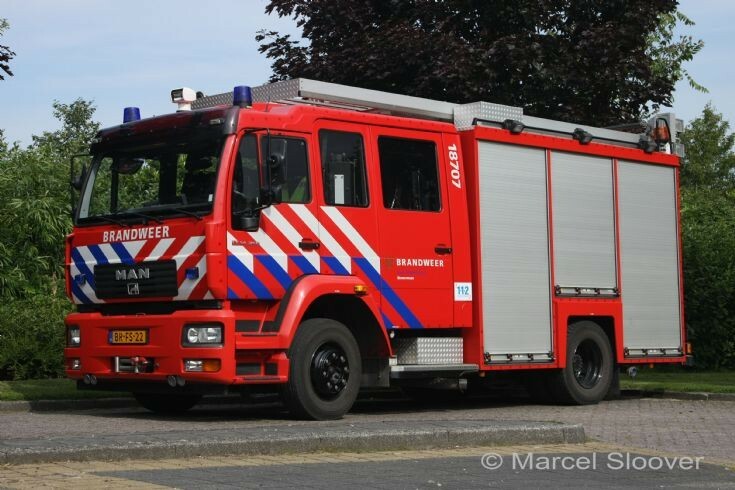 This is the watertender from the Fire brigade Binnenmaas, Fire station 's Gravendeel, The Netherlands. It is a MAN LE 14.225 LLLF with a bodywork from HDS-Godiva. It came into service in 2005. The pump has a capacity of 3250 l/m low pressure and 240 l/m high pressure. Tank contains 1500 litres of water.